Chronicle of Health Creation: Are Integrative Health and Medicine Part of the National Pain Strategy? The medical industry's uptake of complementary and integrative health and medicine is wildly uneven. This is true even in pain treatment, an area that drew most people to integrative practices and practitioners. The medical industry's uptake of complementary and integrative health and medicine is wildly uneven. This is true even in pain treatment, an area that drew most people to integrative practices and practitioners. For those interested in seeing more integration of these contributions, opening new governmental pronunciations is kind of like a white elephant gift exchange. Once you click enter, you don't know whether you will score big time or be on the losing end of what may feel a thoughtless or ill-meant prank. This fluctuation of inclusion led me to recently post an Open Letter to Barack Obama on his $1.1-billion proposed opioid strategy. The administration's recommendations were painfully non-inclusive. They denied the mounting evidence for non-pharmacologic approaches like chiropractic, acupuncture, mindfulness, yoga, massage and integrative and naturopathic medicine in pain care. The National Pain Strategy issued March 18, 2016 by the U.S. Department of Health and Human Services (HHS) was just such a powerful bomb of wrapped package. This guidance is the big one: the hoped-for bike or basketball or skis for any of us lucky enough to get one "big" gift on a solstice morning. What would the National Pain Strategy contain? The document's pedigree goes beyond its agency sponsor. HHS's action was recommended by the Institute of Medicine (IOM) of the National Academy of Sciences in its 2011 Relieving Pain in America: A Blueprint for Transforming Prevention, Care Education, and Research. The IOM, a quasi-public agency, had in turn been funded to study pain through the 2009 Affordable Care Act. As this analysis shows, the IOM Blueprint included 15 references to "complementary and alternative medicine" and integrative approaches and practitioners. This inclusion came through recommendations of a committee that included experts in integrative pain care. Of the 19 members, one was a naturopathic doctor and acupuncturist who was a former president of the American Academy of Pain Management,Rick Marinelli, ND, MAOM, pictured above. 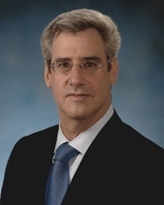 Another was UCLA integrative pediatrician, Lonnie Zelzer, MD (below). 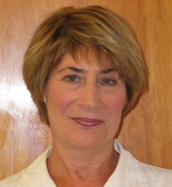 A member of both the IOM group and the HHS's parallel committee, Myra Christopher, has characterized the now deceased Marinelli's interprofessional contributions this way: "Rick's special contribution was to remind us of the importance of a bio-psychosocial or integrative pain management approach." The contributions of this integrative duo was apparently meaningful. What might have been different had neither Marinelli nor Zelzer brought integrative expertise to the Committee? In contradistinction, the Oversight Panel for the HHS strategy included no experts from the integrative community. Zippo, also, from the licensed naturopathic, chiropractic, massage or acupuncture professions. Neither was the growing group of integrative medical doctors represented. For these, too, chronic pain is the most significant reason for patient visits. The HHS Pain Strategy reflects work of 6 working groups: Population Research, Prevention and Care, Disparities, Service Delivery and Payment, Professional Education and Training, and Public Education and Communication. These had roughly 80 members. One, on the education group, was Maryland integrative medicine leader Brian Berman, MD. Zippo, again, for representation from the distinctly licensed integrative health and medicine professions. These roughly 120,000 licensed integrative health professionals -- without counting the 250,000 massage therapists and scores of thousands of yoga teachers -- are clearly part of the way people in the US are responding to pain conditions. Yet they were not considered significant for the dialogue in this purportedly national strategy. As an interprofessional engagement, the HHS National Pain Strategy was a failure event. For one about to take off the gift wrapping, this is worrisome. So how did the team do? I counted 15 mentions of licensed complementary or integrative health practices or practitioners in the 50 pages of the core document. Three were in a section on definitions. There the authors distinguished complementary healthcare approaches ("mind and body practices and natural products of non-mainstream origin, including chiropractic and osteopathic manipulation, meditation, massage, relaxation, yoga, acupuncture, and naturopathic medicine") from integrative health care ("incorporates complementary approaches into mainstream health care to achieve health and wellness"). They further noted that pain self-management "can include a broad range of complementary health approaches." Notably, other than a mention of acupuncture in a discussion of coverage issues, the individual complementary or integrative approaches or practitioners are not again noted. The Vision The expression of vision in the opening of Strategy includes 14 separate bullet points. In the 8th of these, the authors speak to the importance of broadening clinician education.They note a half dozen methods. The last of these is to educate to "the role of complementary and integrative medicine." (Notably, this relates to the education arena where Berman was involved.) Might the rest of the vision been more inclusive with broader interprofessionalism? 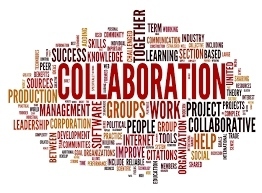 Despite poor representation, complementary and integrative practitioners were specifically included in 4 places as "collaborators" to meet objectives prioritized by the working groups. Service Delivery & Payment Objective #1, "Define and evaluate integrated, multimodal and interdisciplinary care ..." urged inclusion of "licensed integrative health practitioners." Same section, Objective #3, "Tailor payment to promote and incentivize high-quality, coordinated pain care ..." reaches out to "licensed integrative health care providers." Disparities, Objective #1, "Reduce bias (implicit, conscious, and unconscious) and its impact on pain treatment by improving understanding ..." calls out to include "social service providers (including licensed practitioners who provide integrative and complementary health approaches)." Prevention and Care, Objective #2, "Develop nationwide pain self-management programs..." invites collaboration with "licensed complementary and integrative health fields." These were 4 of the Strategy's 17 "Objectives" across the 6 working groups. While not directly referenced in any others, many of the remaining 13 urge inclusion of "health care professionals," "health care professional organizations," or "other relevant health disciplines." The door is thus open to any of the integrative medical or distinctly licensed integrative health and medicine fields - as long as they see themselves as "relevant." In the pain arena, they are. That the executive summary and vision that open the National Pain Strategy are nearly devoid of explicit mention of complementary and integrative methods and practitioners is quite probably a function of who was invited to the table. While the overall focus is on opioids --- 66 mentions in the 55 pages -- the remaining focus is biopychosocial and multidisciplinary. The general direction of the document is toward inclusion. Team methods are promoted. The report substantively looks, for instance, at the need to change the way payment and clinical management methods push pain care toward pharma and away from interprofessional teams. The document opens doors if one pushes past the overall obsession with opioids. Given near absence of direct involvement of integrative health professionals in the development of the HHS' National Pain Strategy, the opportunities for moving integrative strategies into the mix are significant. As shared here, the American Chiropractic Association, American Association of Naturopathic Physicians and the American Society of Acupuncturists are ready to participate. Here's looking forward to the day when all of the clinical players in the pain world come together to bring all of the tools and practitioners into the mix to create a true national strategy for the nation. There's good in what was created. Still it's a shame that HHS didn't choose to start that new era for pain care with this document.